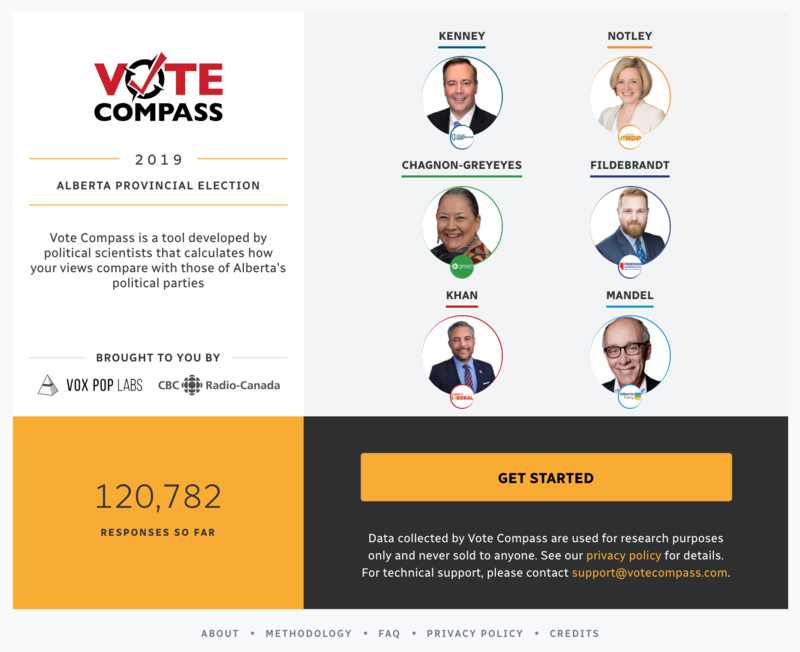 As the writ dropped and the election campaign in Alberta officially kicked off, Vox Pop Labs, in partnership with CBC News and Radio-Canada, has launched a new edition of Vote Compass. Albertans can visit votecompass.cbc.ca/alberta to get a sense as to how their political views align with the public policy platforms of the various parties running in the 2019 Alberta provincial election. Within a week of launch, nearly 125,000 people have already used the application. The 2019 Alberta election edition of Vote Compass is available at https://votecompass.cbc.ca/alberta.